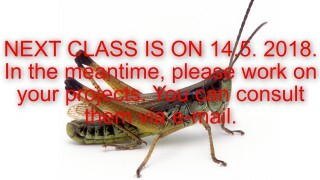 NEXT CLASS IS ON 14.5. 2018. In the meantime, please work on your projects. You can consult them via e-mail.